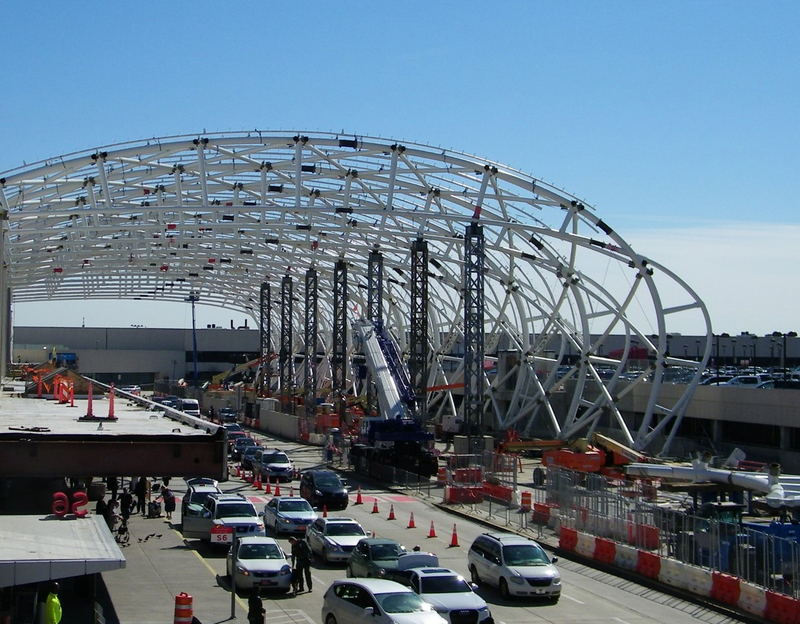 As the steel frame that will shape and support the South canopy progresses – rapidly – along the South roadway, some parking customers should expect to be impacted. Beginning early Monday, March 25, the South Hourly lot exit will be temporarily relocated for ongoing canopy construction efforts. The lot will remain open. Drivers will be detoured to well-marked, alternate exits. ATLNext customer representatives will be staged to assist passengers with the new exit process. Once the South canopy is completed this fall, the original exit location will reopen. There may be challenges as customers become familiar with the new exit route; therefore, ATL Operations staff will closely monitor the impact of the changes. Passengers seeking alternate, on-airport parking options are urged to utilize the North Hourly lot, which provides easy access to the Domestic Terminal.